Three years ago, I had never heard of Jack Kerouac. (I know. That’s crazy talk for most literary enthusiasts). But as soon as I started the LOST Book Club challenge and I was checking my list often, searching libraries, bookstores and Amazon for where I could get all these titles, I became familiar enough with him to recognize when I heard his name. For instance, a casual reference occurred in my favorite TV show, Parenthood. Sarah is dating Mark, a high school English teacher and she mentions to him that someday she would like to visit a bar in Morocco where Jack Kerouac spent time writing On the Road. And because Mark loves her, he looks up more info on Kerouac to further their witty dialogue. (I loved them together. But she dropped him for Hank, a character played by Ray Romano.) Can’t tell you how much I love Raymond, but Hank, not so much…. I was so sad…. 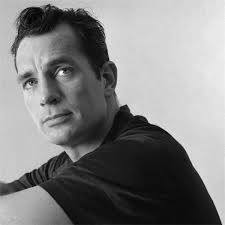 Anyway, Jack Kerouac is known as the founder/father/hero of the Beat generation; young people in the 1940’s that liked to do their thing expressing themselves, running around and living life counter-culturally. They were kind of like the hippies in the sixties, except when I think of hippies I think of a movement that had deliberate political or non-political motivations, and an ideology for social change. With the Beat generation, it appears it was really only about living life out loud, experiencing pleasure, accepting everyone and having a heart full of compassion. All of this sounds wonderful until you realize that all that living life for pleasure can get you in a lot of trouble, and bring a lot of sadness. You see that in On the Road. The book is an autobiographical account of the years that Kerouac spent traveling back and forth across America with his friend Neal Cassady and a few other Beat generation populars. Their true names were changed before the book was published. Kerouac’s character is Sal Paradise and his best friend Neal becomes Dean Moriarty. It is Dean’s descent into sadness and madness that shows us that the “Beat” life is not all that fulfilling. They had a great time, some of the time, but all they did was drink, drink and drink. Then smoked some pot, found some girls and drank some more. REALLY. I get the whole adventure theme…and I love it, and I really could see compassion and tenderness in Kerouac’s character, but the drinking was beyond ridiculous. And that is so sad because that is the very thing that ended Kerouac’s life and likely, all the partying is what ended Cassady’s life as well. I love this picture of Jack Kerouac because it looks so much like a photo I have of my Paw Paw when he was in the Navy in the 1940’s. On the Road doesn’t show up on LOST, nor is it mentioned. I think the reason that it’s on the reading list is because the character Ben Linus uses “Dean Moriarty” as an alias when he’s traveling, (the world or Time). Ben is a super bad dude for a long time. He was absolutely the most interesting character on the show AND he was a reader. Who knows, he probably had a copy of On the Road on his bookshelf in his island cottage along side Ulysses, Carrie, VALIS and The Brothers Karamazov. I want an island cottage…. and a road trip. And I’d love to hear about any memorable road trips that you’ve taken. I’ve always meant to read On The Road and I just haven’t yet. I should do that sometime soon. You read this much faster than me! I am still stuck in Part Two. I like it, I do, but it just seems to drag, mainly in the places where the alcohol is abundant. I think part of that is because Kerouac’s target audience is young adult males. Yeah, the drinking was crazy. It makes you wonder how he remembered anything. But beyond all that, I think he did a great job revealing his thoughts and sensitivities. I was in misery with him when he was hungry or lonely or mad at Dean. 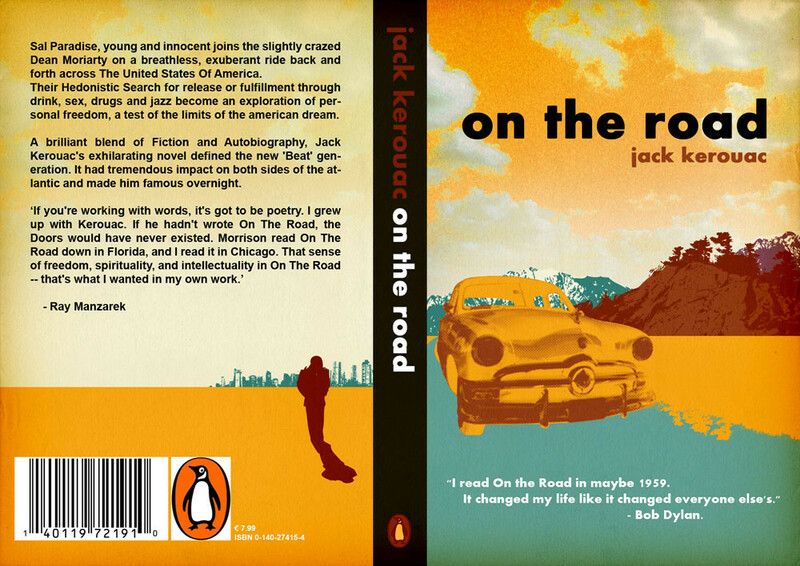 Yikes–I’m not sure I’ve heard of Jack Kerouac either. Maybe vaguely? Maybe not. ha. An island cottage–sounds delightful but not in my near future anyway. Road trips–those I do love. I have daughters who live south of me so we keep the roads hot visiting them. Also love road trips that take me to the beach, any beach! Blargh. My sister loves Kerouac and while I appreciate him for his literary contributions and I understand the importance of his work (especially his influence on later writers) I am not personally a fan. On the Road was just kind of ‘meh’ for me.